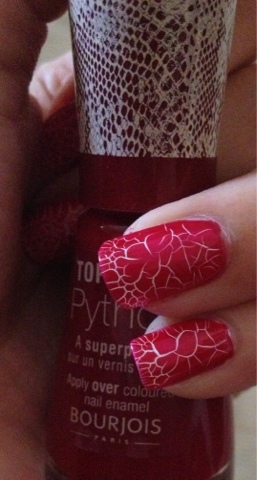 I saw Bourjois Python Top Coat swatches on internet and instantly fall in love with this amazing patterned polish. 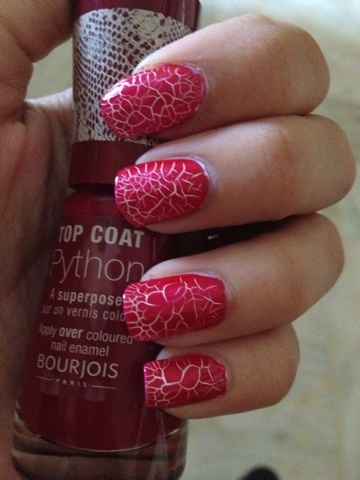 a burgundy nail polish which creates something similar to a crackle effect on the nails, only much more sophisticated, leaving you with a chic snakeskin manicure. 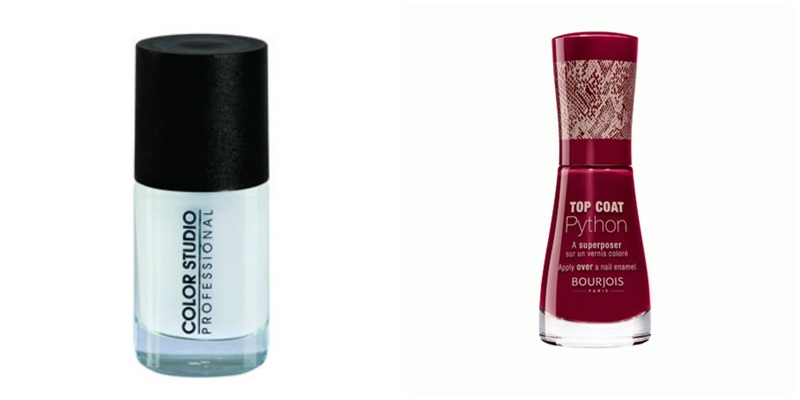 Bourjois launches Top Coat Python,a top coat that reproduces the elegance of fine scales python for a manicure nail art refined. One simple gesture for maximum effect! • On two coats of completely dry nail color, apply a thin layer of Top Coat Python. • Do not iron twice. • After 1 minute, the scales will slowly appear! 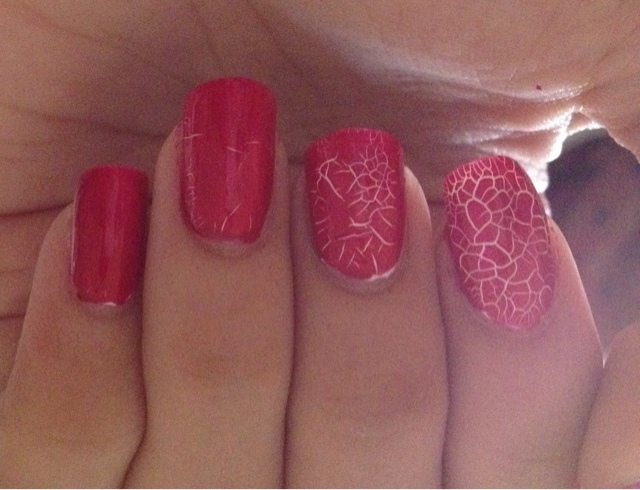 If you follow me regularly you would be knowing I love to paint my nails all the time. 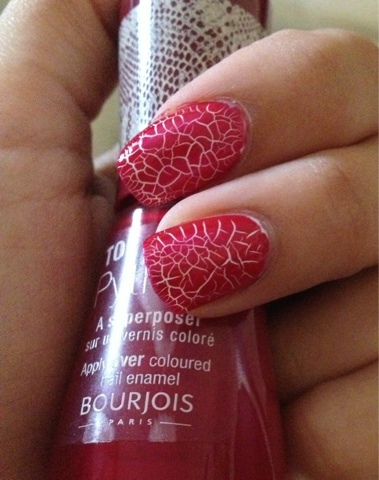 I prefer trying new and different shades it just makes me happy looking at my funky nails. 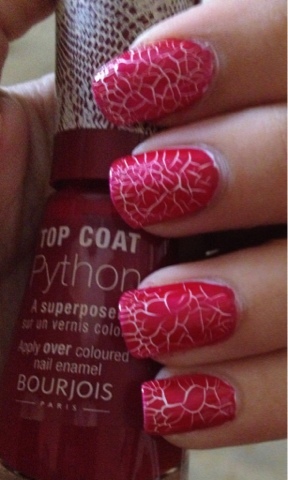 loved this top coat its seriously better than crack polish by the way can you tell from where can i buy it ??? Lovely..looks better than a crack polish.